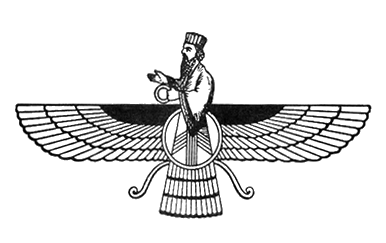 Description: Zoroastrianism , also called Mazdaism, is a monotheistic religion founded in Persia in BC 1200 by the prophet Zoroaster teaching the worship of Ahura Mazda. In the 6th century BC it was one of the world's most powerful religions but today is one of the smallest. Zoroastrians are not fire-worshippers, as some suggest, but believe that fire represents God's light or wisdom.